For Seafood and Fish Noodles, one must pay a visit to B & Best Restaurant located at the area of Kelana Jaya. As a favourite among the locals, I heard that the restaurant can be very busy during the weekends but unfortunately, this restaurant is only open for breakfast and lunch. 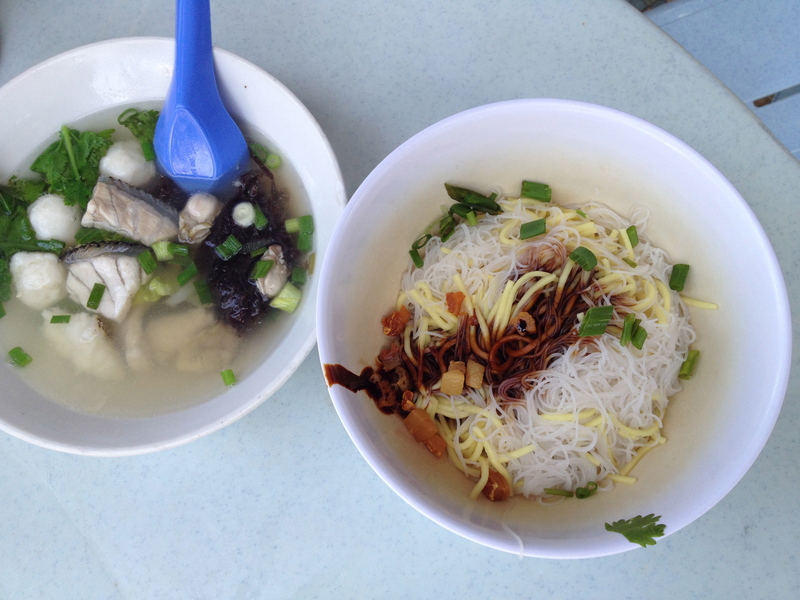 At the Seafood and Fish Noodle stall, you can basically choose which type of seafood and noodle or porridge you would like for your dish, depending on your preference. If you want to try everything, you can have the option of going for the mixed seafood which consists of fish slices such as snapper or garoupa, huge prawns, oysters, fish balls and seaweed. For those who like it hot, you can also get a choice of having a tom yum based soup as an alternative to the clear soup. I had the Clear Soup with fish slices, fish balls and mussels with Loh Shi Fun Noodles (Loh Shi Fun in Cantonese means Rat Noodle) Don’t worry, no rats were harmed and sacrificed in the dish at all! 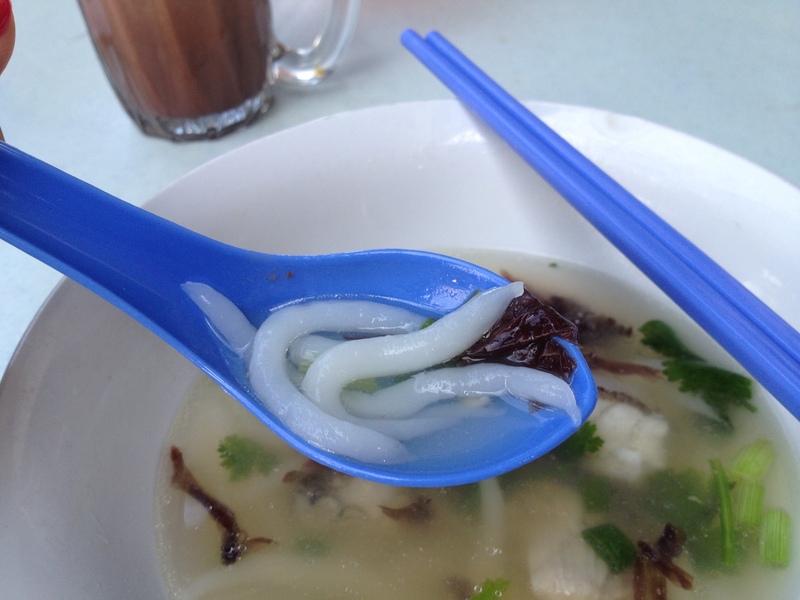 The reason why it is called Rat Noodle is because the noodle is long and tapered which looks like a rat’s tail. Apart from seafood, the clear soup is served with vegetables and seaweed. I enjoyed my dish. 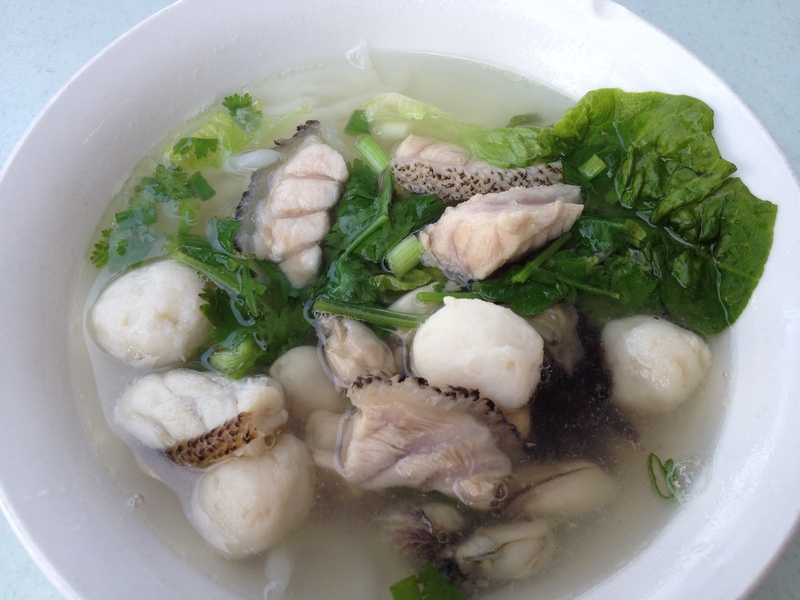 The fish slices, fish balls and mussels swimming under the clear soup was very fresh which complements the silky smooth and springy texture of the Loh Shi Fun. It was delicious together with the sambal belacan giving the dish a chili kick. Dad had the clear soup with the same seafood too. Instead of Loh Shi Fun, he had a mix of yellow noodles and beehoon with a sprinkle of pork lard on top. Oh and not forgetting the fishcake we ordered as our side. The fish cake at B & Best is popular among the customers too. 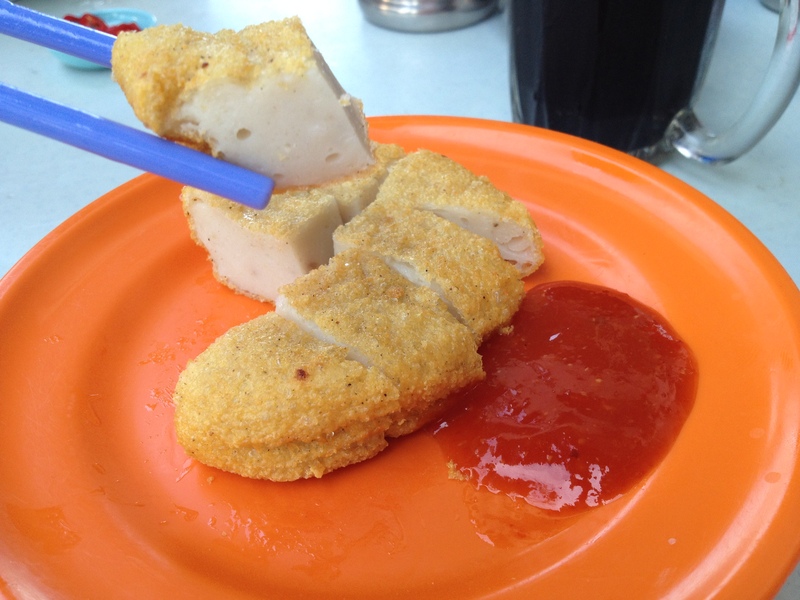 Although the fishcake skin is thin, it is crispy on the outside and springy in texture. It was lovely indeed. For the amount of food we had, it came up to around RM 20 per pax. It may be overpriced but it is definitely worth it for fresh seafood and noodles. If you happen to be around the area, why not give B & Best Restaurant a try for some fresh seafood noodle soup. Yes, it may get hot in the afternoon as the restaurant is not air-conditioned but it will be worth it for sure.